It’s amazing how an unassuming place can create such beauty. That’s what happens at Borst Lake in Snoqualmie. 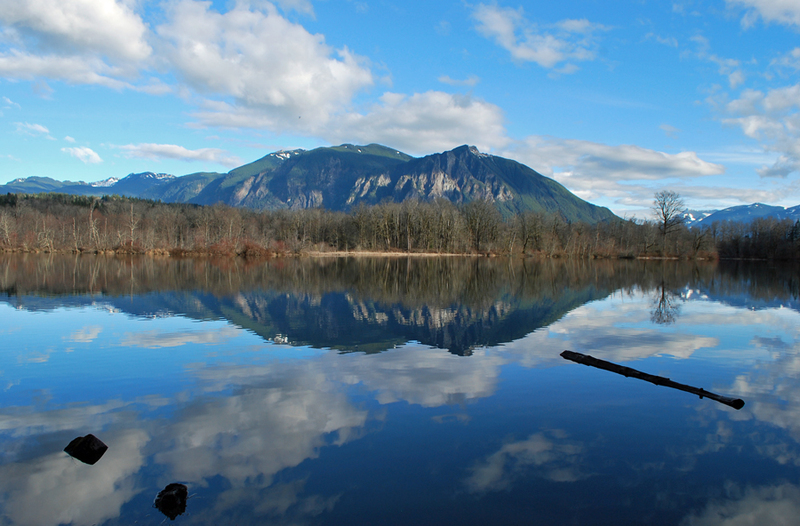 On a nice day, the water creates a perfect reflection of Mount Si in the distance. First things first: where the heck is Borst Lake? This isn’t a place many people talk about; let alone even know about. 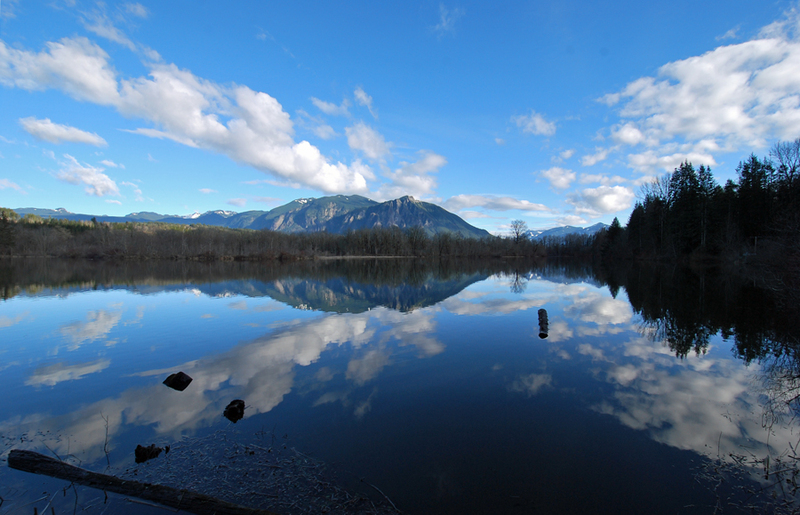 Borst Lake (not Fort Borst Lake in Centralia) is located 29 miles from Seattle in Snoqualmie. To keep it simple — here’s a map. There is no hiking involved. Borst Lake is right next to the road. There’s not a parking lot, so just use one of the pull-offs near the lake. NOTE: Snoqualmie Falls is just a mile up the road from Borst Lake, so you can easily visit both locations in a single adventure. Borst Lake is a photographers paradise. When my dad and I recently stopped by, there was already one other photographer out there. 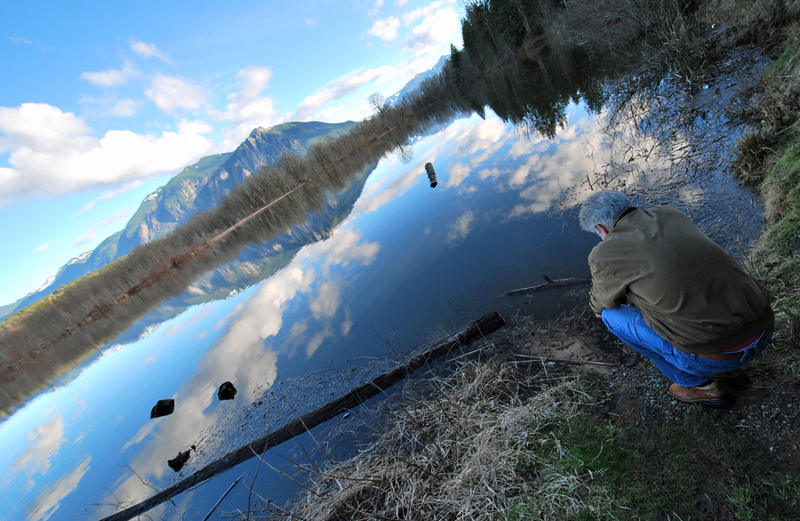 After we left, drove down the road, checked out another photography location, and then drove back by Borst Lake — there were five more people on the side of the road taking pictures of the Mount Si reflection. It looks like Borst Lake is especially beautiful in the fall. A simple Google search reveals amazing images of Borst Lake surrounded by colorful trees, and there’s also the reflection of Mount Si. With that said, my pictures of Borst Lake are from a random day in February. That means it can be awesome anytime of the year. It’s truly amazing how a simple little lake can create such an amazing sight! Have you ever visited Borst Lake? Do you have any other information to add? We’d love to hear from you! Please leave a comment below or connect with us on Twitter, Facebook, and Instagram. Don’t forget to also check out Seattle Bloggers for more great places to visit around the Emerald City!